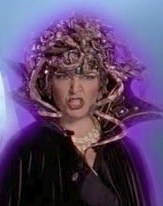 Dimitria served as mentor to the Turbo Rangers; some clues seemed to suggest Divatox was her missing twin sister. 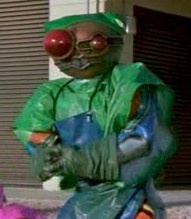 After capturing Lerigot on Earth, Divatox used his key to free Maligore from Muiranthias, intending to marry him, but she fled after his destruction by the Turbo Rangers5. 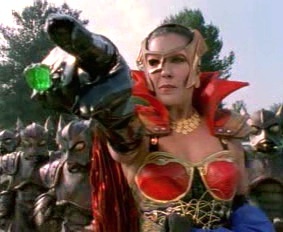 She later returned to Earth seeking revenge6, around which time Dimitria arrived to replace Zordon in the Power Chamber7. Dimitria soon learned of a missing twin sister8. Upon viewing the Blue Senturion's Millennium Message9, Divatox apparently targeted civilians Carlos and Ashley for unrevealed reasons10. General Havoc visited with a new space base11. 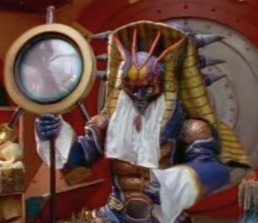 Later, the powerful monster Goldgoyle destroyed the Rangers' Zords; Dimitria then left for Eltar to help against Dark Specter's invasion, and Divatox launched an assault on the Power Chamber after Rygog and Elgar discovered its location12. Immediately after the Power Chamber had been destroyed (and Lightning Cruiser and Storm Blaster captured), Divatox was called away by Dark Specter's messenger, but she vowed to return13. On the Cimmarian planet, Divatox boasted (to General Havoc?) of her recent triumph, but she was disappointed when Dark Specter chose Astronema to pursue Andros14 (Elgar soon volunteered his services aboard Astronema's Dark Fortress15, but possibly without Divatox's blessing16). 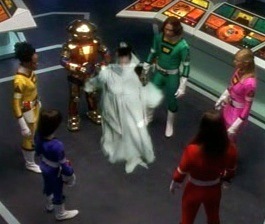 Later, Divatox and her forces were transporting Zordon between planets17. When Storm Blaster escaped, Divatox requested help from Astronema but was rebuffed, and Lightning Cruiser ultimately escaped as well18. 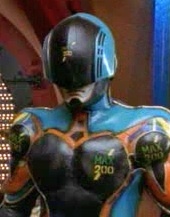 Zordon was at some point left aboard the Dark Fortress, and Divatox's forces participated in Dark Specter's final invasion, overwhelming the Alien Rangers19. 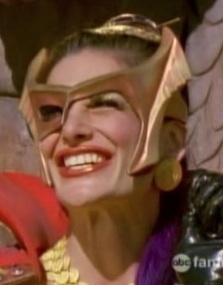 When Zordon's energy wave hit, Divatox was transformed into a form resembling Dimitria (minus the mask); she was apparently delighted to be both "gorgeous" and "alive"20. 15. Save Our Ship, et al.